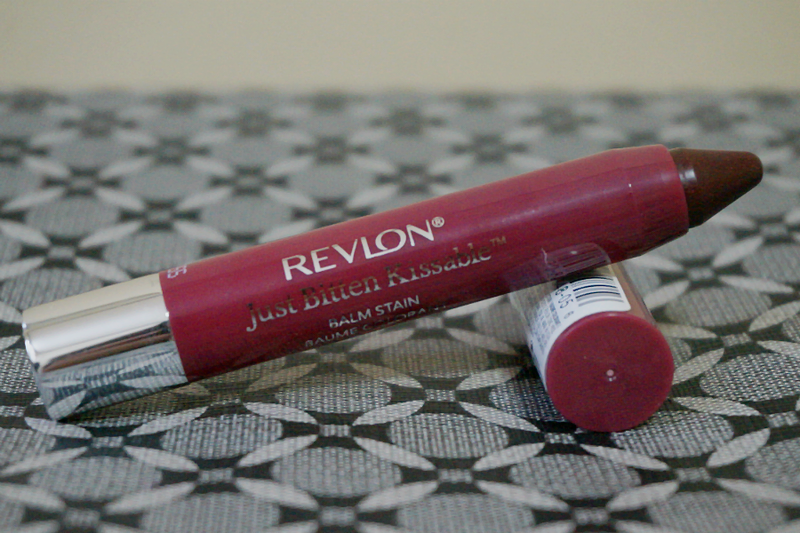 I'm back with yet another lipstick, this time with the very popular, best-selling Revlon Just Bitten Kissable Balm Stain in Crush. 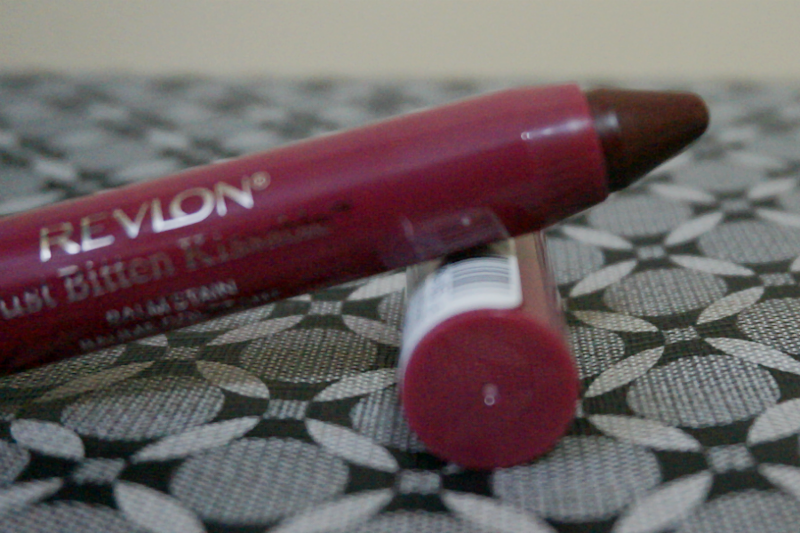 This is my first Revlon Balm Stain purchase since I've been on a "matte" crusade recently. I decided to divert a little bit and try the lighter balm, stain formulas. 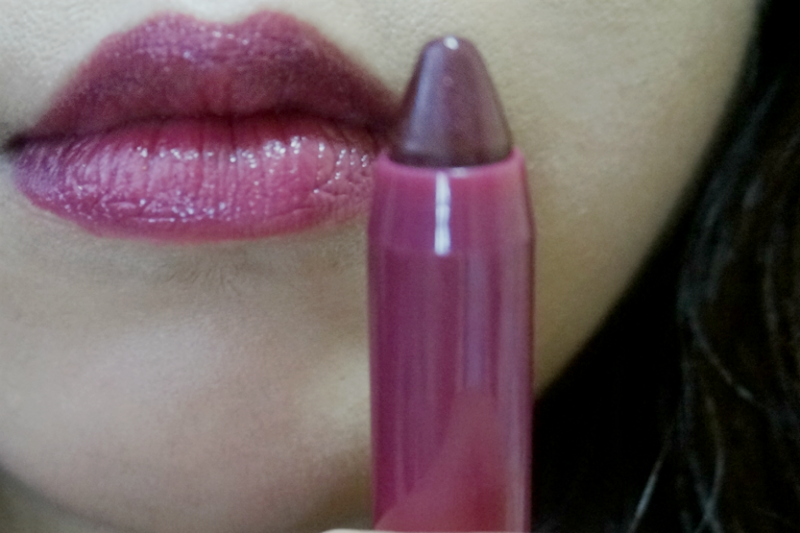 I have been purchasing lipsticks with darker, deep colors lately. It's maybe because of the cold, rainy weather. 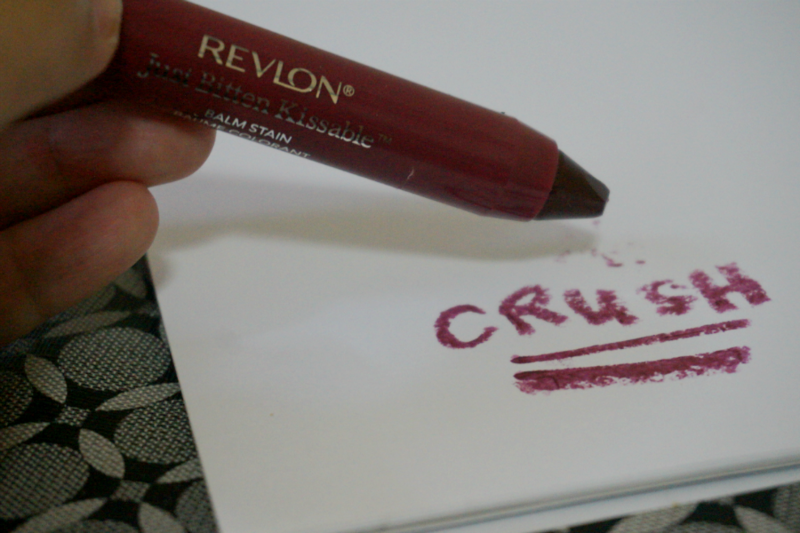 As evidenced, Crush appears to be a deep, burgundy-cranberry red color. Since it's a stain, the color is sheer but that doesn't mean its not pigmented enough. 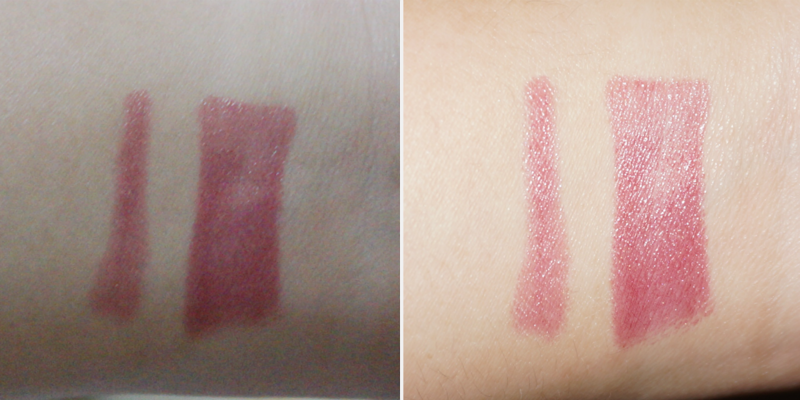 Above: Swatches on my NC20/25 skin. You really need a few layers to build color and achieve a semi-opaque finish. The swatches above required about 4-5 swipes. On my somewhat-pigmented lips, the color appears to be a deep plummy red. It registered a bit lighter on photos than in real life. 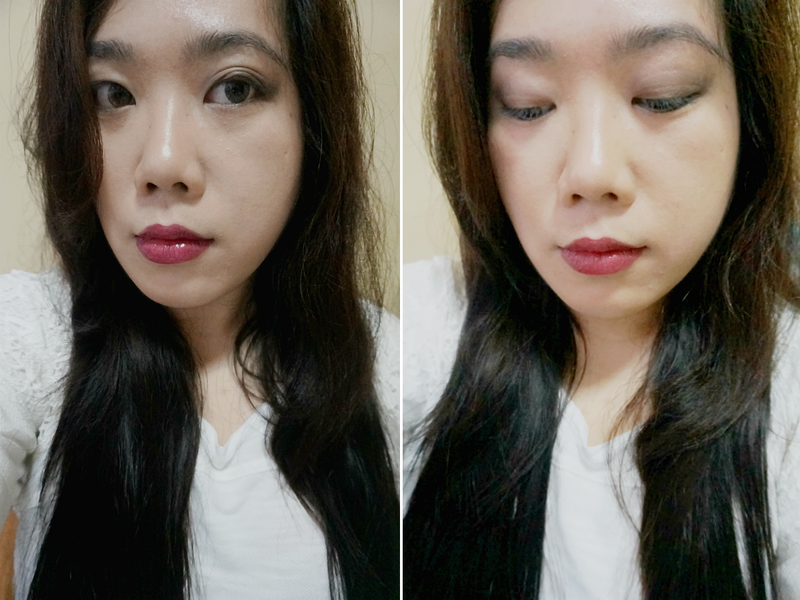 On lighter, less pigmented lips; I think this would look darker and more burgundy. 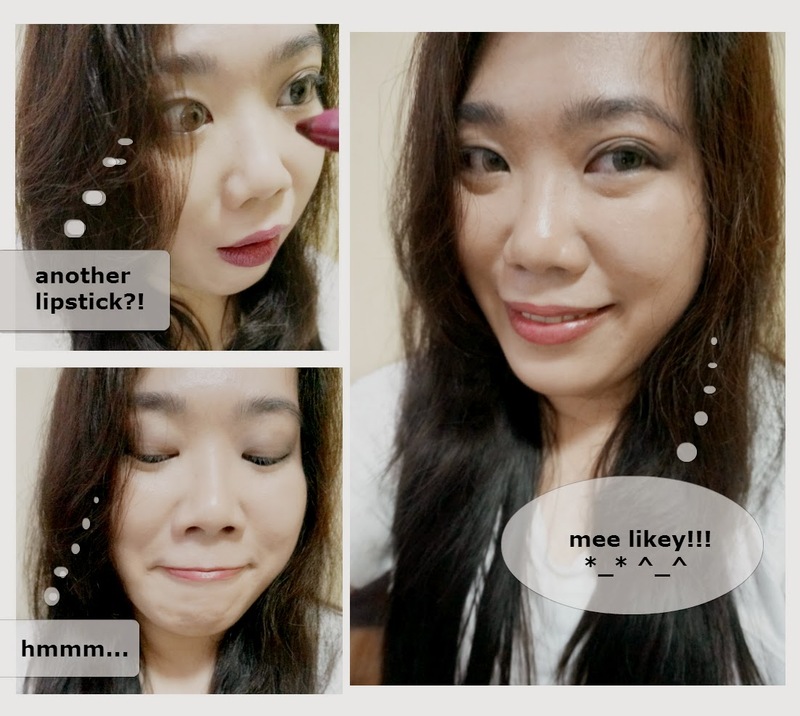 I can't say that these stains are very moisturizing but they did lend enough moisture on my lips to avoid feeling dry. Pigmentation was great and as mentioned earlier, semi-opaque. The balm felt natural on my lips - light and not heavy. I observed some transfer on my coffee cup but not enough to make the color disappear. It wears off evenly - i.e. 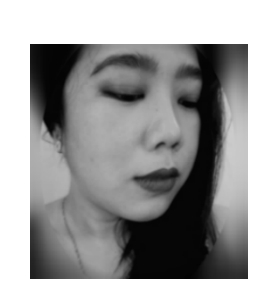 without the lip liner effect. 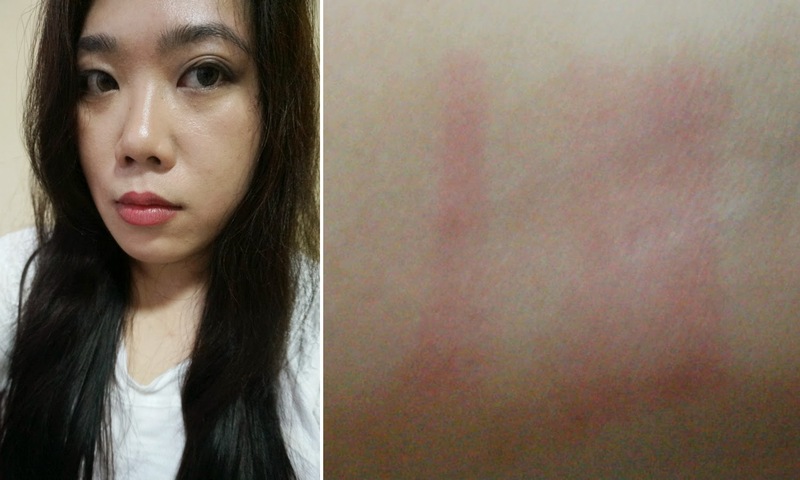 The main color lasts for up to 2-3 hours, but the stain it leaves behind practically lasted the whole day (8 hours+++). 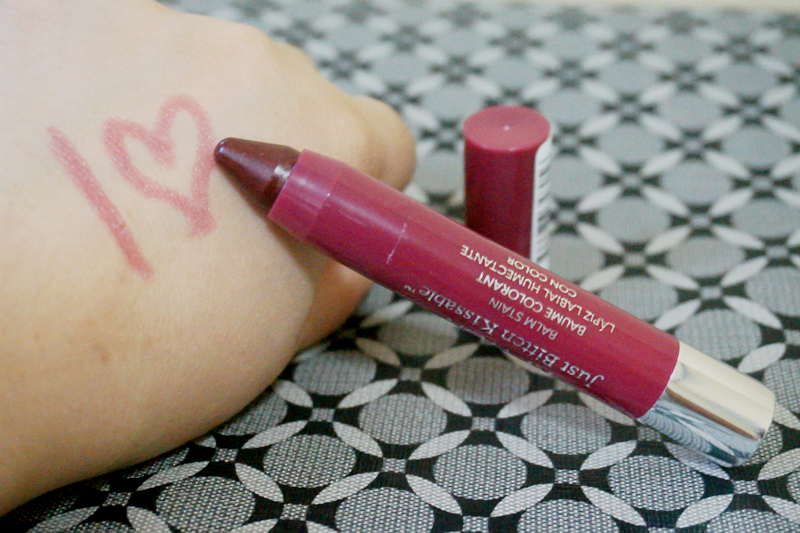 While I favor matte formulations, I (surprisingly) like the balm stain texture. I'm now thinking of trying other colors in the future. Overall: Revlon Just Bitten Kissable Balm Stain in Crush is a sheer, buildable lip color that lends enough pigmentation and moisture to your lips. It's a deep, dark stain but would definitely suit an everyday look because of its sheerness. Its lasting power is amazing as the color it leaves behind lasts for more than 8 hours. This is definitely a MUST TRY if you haven't already.